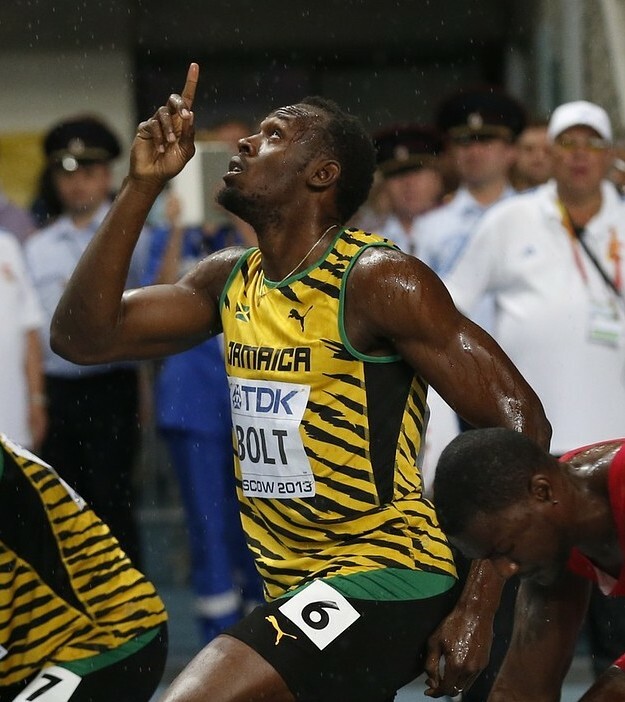 Okay, so Usain Bolt won the 100m final again in the World Championships 2013 in Moscow. 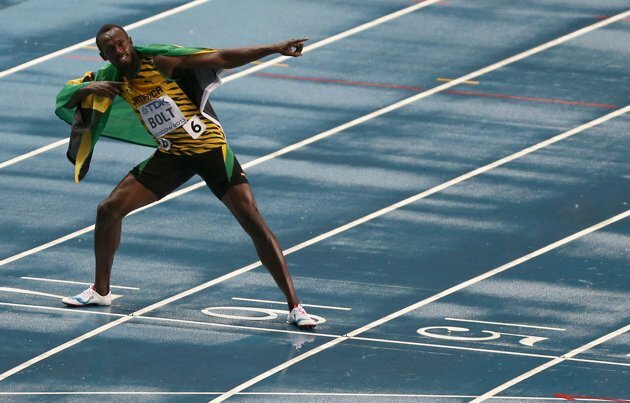 He ran the distance in 9.77s. As you can judge from this post, posted minutes before the start of the race, I was expecting big things from the Jamaican. 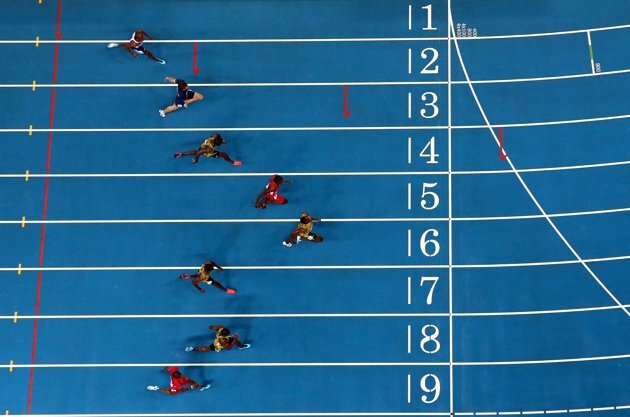 For example, a sub 9.70s, if not a sub 9.60s, run. Little did I know about the rain, which literally single-handedly ruined the pace of the sprinting event, with only 2 men running under 9.90 seconds. 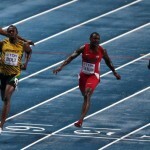 Justin Gatlin leaded the race till the half-way mark and finished second in 9.85s. Nesta Carter visibly used his experience and blasted off to a superb start to edge ahead of two other Jamaicans, Kemar Bailey-Cole and Nickel Ashmeade, finishing third in 9.95s. Hah! The race would’ve had a lot more pace in it had the weather been clear, that’s for sure. 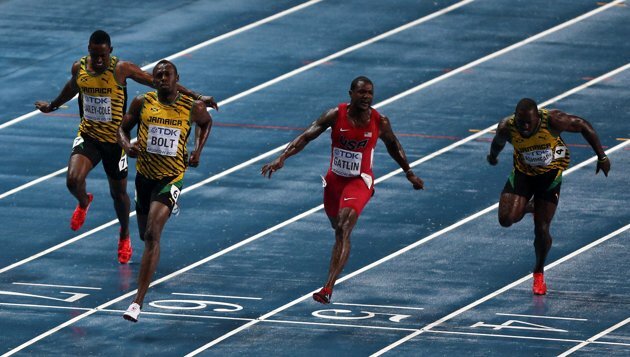 Except Bolt and Gatlin, no one was even able to match their semi-final times. 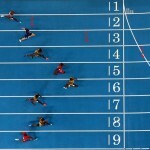 So, the 9.58s World Record for 100m still persists. 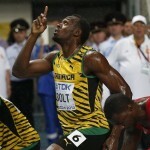 I do hope that Usain atleast attempts in the near future to conquer it, till he’s in his physical prime.